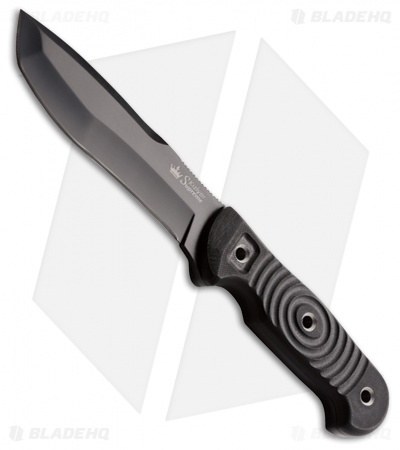 The Kizlyar Supreme Vendetta fixed blade knife is an ultimate tactical combat knife. The modified tanto blade shape features a slight recurve for powerful pull cuts, strong tip for excellent piercing and a sharpened swedge. Grooved black G-10 handles provide fantastic traction for confidence in hand. A black nylon MOLLE compatible sheath for easy carry in the field. Aggressive D2 multi-functional modified tanto blade shape. Sharpened spine swedge for additional versatility. Comfortable contoured black G-10 handle. Durable MOLLE compatible nylon sheath. This is a heavy hard use knife!